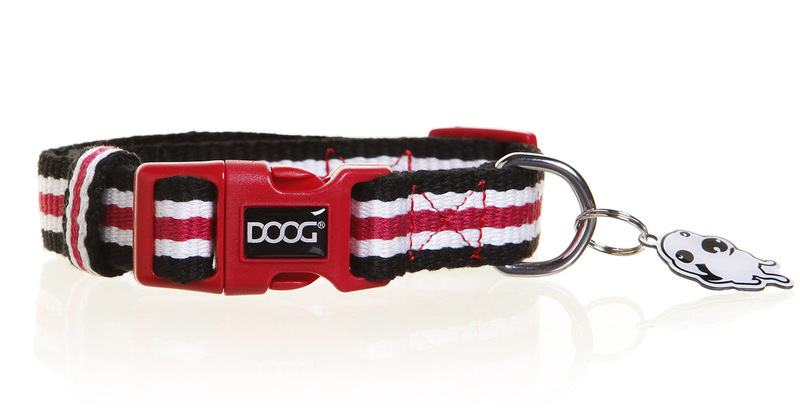 Your pooch will be on-trend this season with the new preppie College range of canvas collars and leads from DOOG. Made from soft and durable cotton canvas, these new collars are too cool for school... All come with a bonus DOOG ID tag and a strong clasp. The stylish college style stripe will also match the strap of the latest Walkie Bags. The matching leads come with an interesting new feature: a special clip on the handle allows you to quickly and easily clip your dog to a pole or a tree whilst you duck into your favourite coffee shop! These canvas dog collars and leashes come in two designs: black, red & white for the Harvard model and green & white for the Cambridge model. The collars are available in 3 sizes (Small/Medium/Large). RRP: from $16.95 for collars and $24.95 for the leads.